Your hassle-free customised maintenance plan. 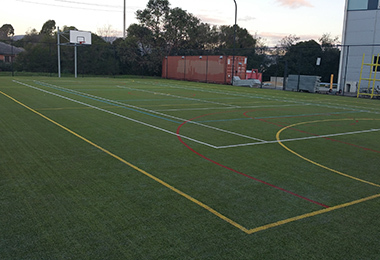 Once we have completed your amazing new Grassports facility or if you have an existing sports ground, you’ll want to ensure that it is maintained to the highest quality for use year in, year out. High performance doesn’t just happen. 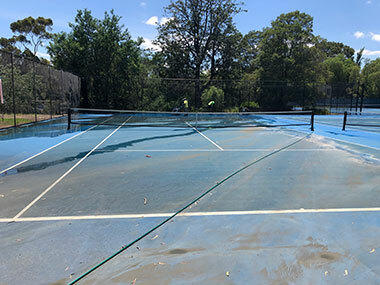 Whether you have an acrylic hardcourt or a synthetic grass oval, let us maintain your sporting surface. 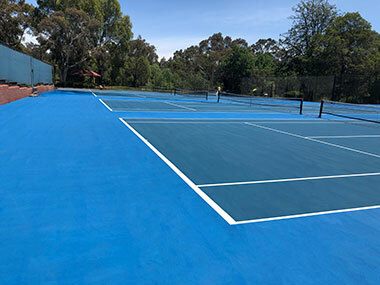 We cater to a full range of sports including AFL, soccer, tennis, hockey, netball and basketball. 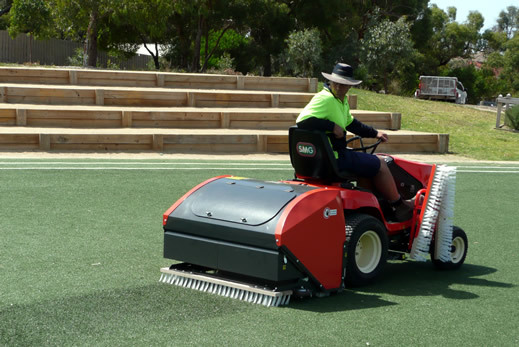 And work extensively with schools, sporting clubs and councils to maintain high-traffic multisport facilities. Attending to your surface frequently is vital to ensure that optimal playing characteristics are preserved, and the longevity of the surface is assured. Surfaces that are not maintained can affect athlete safety and may even impact on your warranty. 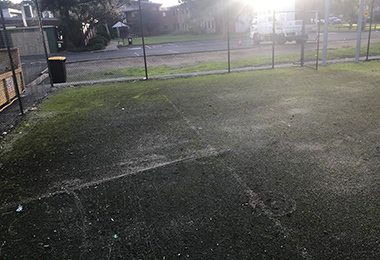 We monitor the surface quality including fibre condition and seams in synthetic grass, line markings, goal boxes, infill levels, centre wickets and wicket covers. A full report is provided after each visit detailing the facility condition and works that have been carried out. 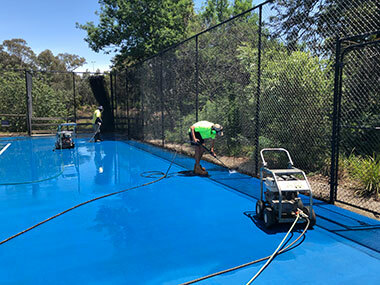 During consistent visits our expert staff will check high traffic areas for wear and advise on any repairs and maintenance required for your facility. 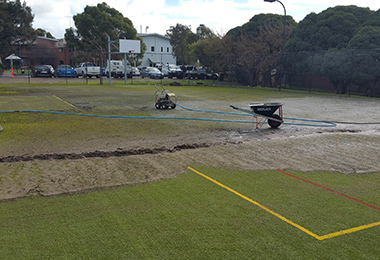 No two sports facilities are the same, so Grassports Australia coordinate a personalised maintenance plan to ensure a safe and premium quality facility is always in optimal condition. 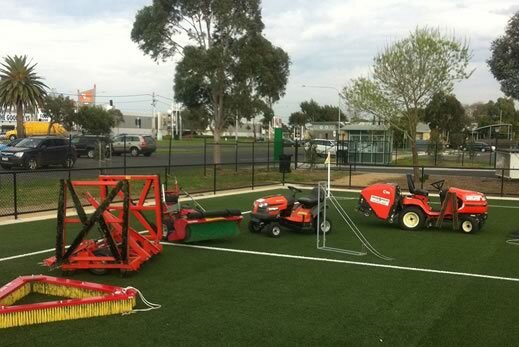 Arrange a consultation with a member of our experienced Grassports Australia team.